Say yes more. Except when you really mean no. Why you should say what you mean and be clear about it. Say “yes” more. Except when you mean “no”! I’ve found that my default response when asked if I’d like to do/try something, go somewhere or meet someone new is typically a noncommittal “we’ll see”. Which in fact is a dressed-up “maybe”. But in actuality is an unequivocal “no”. 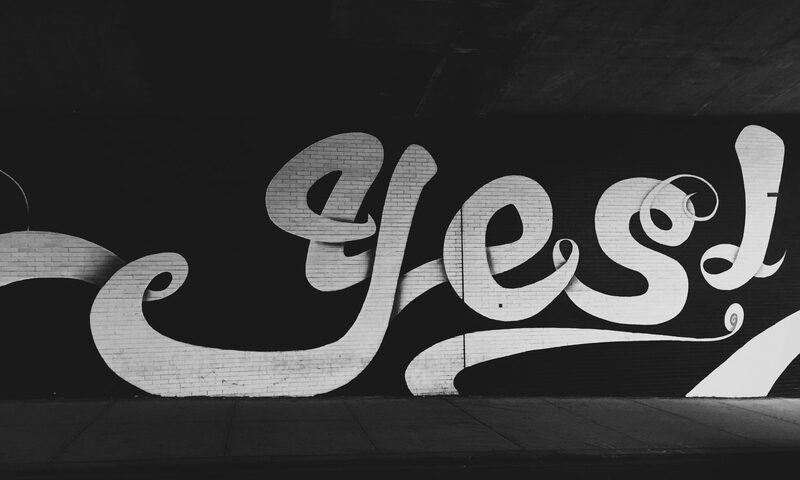 I have decided, upon reflection, that I need to say “yes” more. How many opportunities have passed me by? How many experiences have I missed out on? How many people have I failed to meet? What is the total loss to the self, thanks to the unholy trinity of “we’ll see”, “maybe” and “no”? I need to say “yes” more. It’s important to say “yes”. But only in response to the right questions. Since realising my love of “no” and disdain for “yes” I’ve started noticing similar patterns of behaviour in other people. It’s like waiting for a bus, and then two come along. Or spotting people glued to their phone screens as they walk down the high street. Or worse still, scrolling through their feeds whilst out “socialising” with friends down the pub or in a restaurant. Once you notice it, you can’t un-notice it. You start seeing it everywhere! People say “no” (or any number of the more passive utterances) all too readily. It becomes an instant reaction. Perhaps to buy time to consider what you’re being asked to do. Maybe because it’s become ingrained through habitual use. I think it’s borne out of the fear of the unknown. We’re scared to take risks. New experiences, people, even opportunities, represent risk. And as an unknown quantity our immediate reaction is to shy away from them. We are afraid of the unknown. Will Smith described it best, recounting his confrontation with fear when skydiving in Dubai. We’re not actually afraid of the act itself. Once we’re there and experiencing it we commit and enjoy. It is the anticipation that frightens us. The build-up to an opportunity or new experience is scary. Because we have time to think. Once we allow ourselves too much time to think, we convince ourselves not to go through with it. We psyche ourselves out. All of a sudden our brain has conjured up an infinite number of reasons why we should not be doing this thing that we will likely benefit from greatly. And that’s when it becomes easier to simply say “no”. That’s when we automatically make up excuses, reasons why “now is not a good time”. The fact is, “now IS a good time!” If not now, when? This realisation has been a catalyst for me, and something which I’ve written about previously. It’s time to get out of your own way! Say “yes” more. Unless what you should be saying is “no”. Let me put it differently. 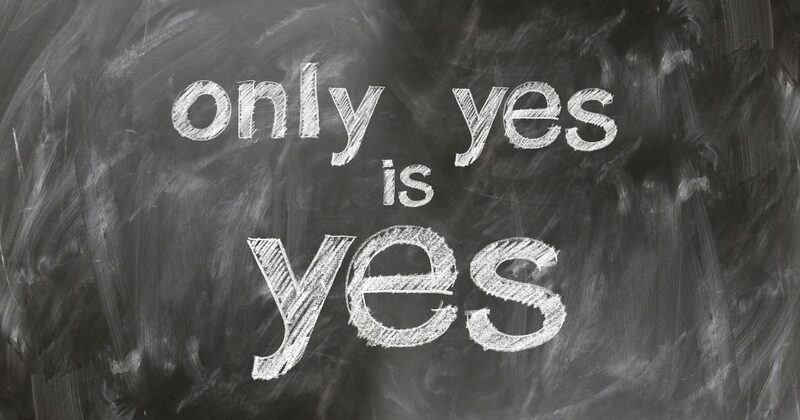 How often have you said “yes” to a request (or a passive “ok”) when what you really ought to have said was “no”? I do it all the time. Why is it suddenly so hard to say “no” when that’s exactly what you want to say? How many times have you been asked to do something extra at work, when you’re already up to your eyeballs, and said “yes”? Don’t be afraid to say “no”. You’re already quite good at it when it comes to opportunities for personal growth and experiential development! Say what you mean and be clear about it. Say “no” when you mean “no”. Don’t be afraid of what the other person might think of you. You don’t need to placate them with “ok”. Be clear. Say “no”. Similarly, don’t be afraid to take risks. Take opportunities when they present themselves. Don’t fall into the trap of always saying “no” or “maybe” and never doing anything. Say “yes”. And mean it. The anticipation, the build-up, will be scary… The event itself will be exhilarating. Say “yes”. Unless you really have to say “no”. And remember… “No” still means “no”. Buy try to say “yes” more. Pingback: Beach cleans can really make a difference to our coasts, our oceans and our planet. We were amazed by what a load of rubbish we found on our impromptu family beach clean. Previous PostPrevious Businesses need a One Minute Briefs strategy. These are the top 6 benefits.